Regardless of many companies ignoring the risks involved with off shoring and manufacturing metal components overseas, metal manufacturing has remained strong in Australia. A healthy contract metal manufacturing industry is both possible and essential in this country. Keeping a sharp focus into the future ensures the continual improvement of manufacturing processes and production speeds. Metal cutting processes are varied and can include some forms of tooling. Large quantities of intricate parts from sheet metal usually require laser cutting or water jet cutting. The laser cutting process allows for close tolerances and increased accuracy. As well as the computerized software working to increase efficiency and improve material yields. Other metal cutting methods include; guillotining, sawing, cropping or plasma cutting. Folding methods use unique tooling such as press brakes to create U bends, V bends and custom forms as well as simple 90° folds. Metal bending and forming applications call for extreme precision and consistency. 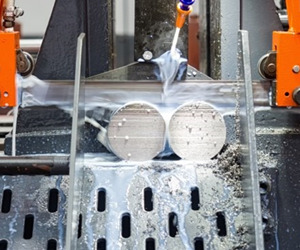 Metal manufacturers use their experience in the field to ensure your components are bent or formed using the most effective method for the particular application. Often, one single component cannot produce a final metal product. Some form of welding process of assembly must occur to bring two or more pieces together to complete the product. Different welding techniques will be performed depending on the materials used as well as the functional and aesthetic aspects of the design. Also most contract manufacturing companies will have a component assembly division working in conjunction with their welding. Metal parts can be assembled together using a variety of methods including; rivets, bolts and nuts. Alternatively the packing of parts according to the necessary requirements is also an option. Once a metal part has undergone the manufacturing process, it may need further surface finishing. 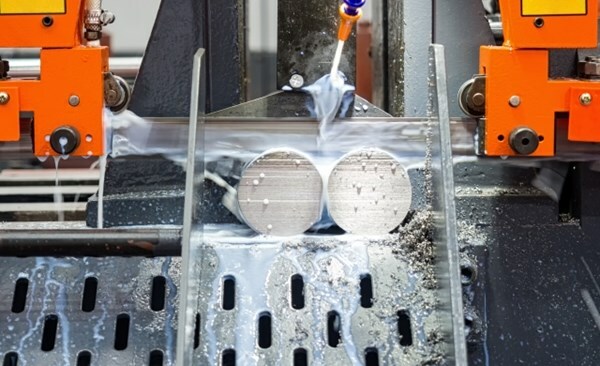 The metal finishing method will depend on the final function of the product, including the expected life-cycle and visual aspects of the design. Some metal coating options would include; spin or hot dip galvanizing, powder coating or zinc plating. Metal manufacturers will be able to assist with the design requirements for the various coating methods as well as the best surface treating method for the application. There are a number of other stages a metal component may need before it is a fully workable product. The above sets out the main processes required. Understanding the procedures consequently assists Australian manufacturers in their decision to outsource. Ultimately influencing the design and feasibility of their components. Signup to our blog to receive regular updates direct to your inbox!